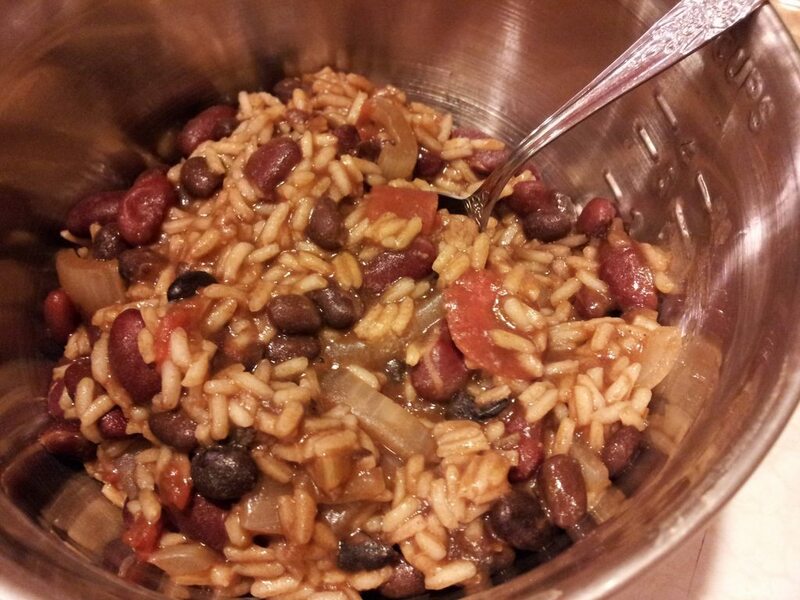 *For my first batch (pictured above) I left out the kidney beans, and used brown rice. My second batch (my favorite of the two) I added kidney beans and white rice. 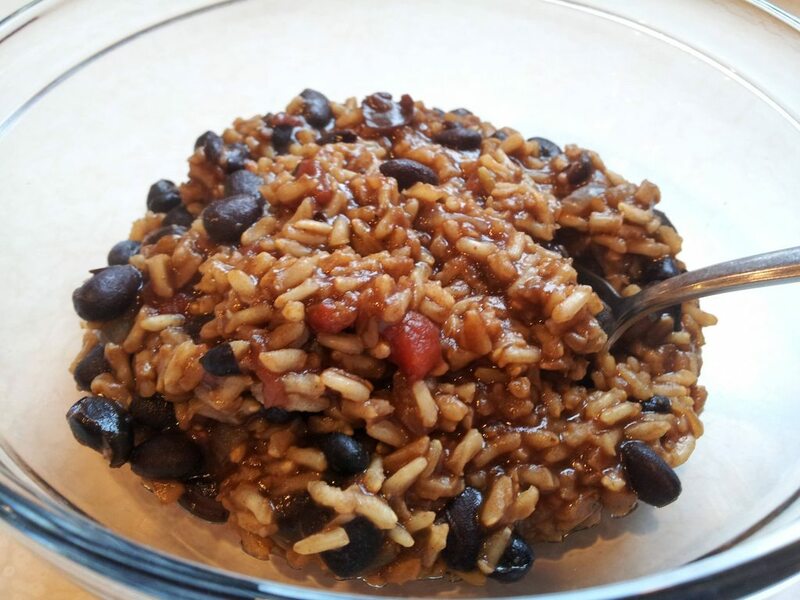 * If you choose to use brown rice, you will have to add more vegetable broth or water and seasonings as it boils. I used brown rice for the first batch and it took around 35 minutes to boil until it got soft, and probably around 2 1/2 or 3 cups of broth. Heat oil in a large pot on medium heat and cook onions ( and garlic; if using) until soft. Mix in black beans, kidney beans and tomatoes along with all of the spices. Stir well and bring to a boil. Let boil for 5 minutes. Mix in your rice of choice, vegetable broth cube, and vegetable broth liquid. Bring to a simmer for around 10-15 minutes or until rice is fluffy and soft. Let sit for 5 minutes before serving.